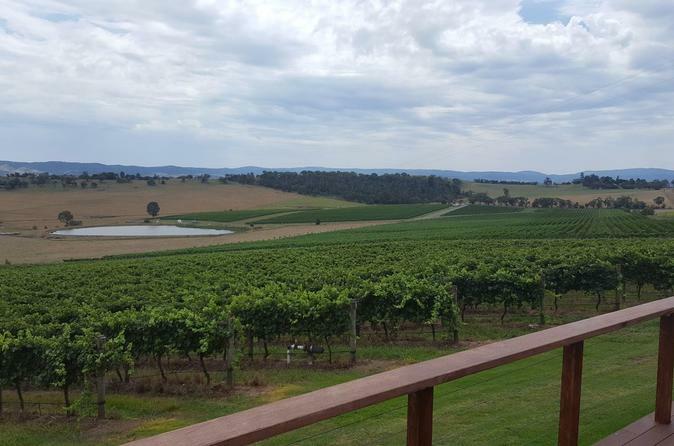 Dégustez quelques-uns des meilleurs chardonnay, pinot noir et mousseux australiens lors de cette visite d’une journée complète dans la vallée de la Yarra, au départ de Melbourne. Profitez de quatre visites et dégustations dans des vignobles réputés tels que le Domaine Chandon, les vins de Rochford, les vignobles de Tokar Estate, le vignoble Hanrahan ou le domaine Helen & Joey. Après le déjeuner (inclus), découvrez les délices gastronomiques de la région en visitant la chocolaterie Yarra Valley, la brasserie Coldstream ou la ferme Yering. Visite à faire minimum à deux ou avec des amis. Accueil chaleureux dans chacun des vignobles. Dégustation de vins très agréable. Our guide was great. Fellow travellers especially the group of young couples travelling together. The trip was relaxing and very enjoyable. 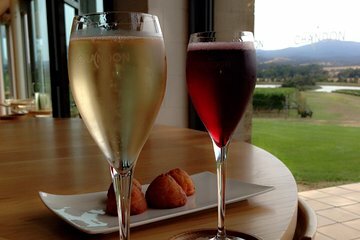 We had a fun day out in Yarra Valley. We visited 3 wineries and had a plenty of time for tastings at each winery. The lunch was delightful. Thanks to our friendly tour guide Ian, we got to see wild kangaroos on our way back to the city. That was a bonus! Highly recommended. This tour involved a small group, my wife and myself, one other couple and the driver, who was very knowledgeable about the area. We visited four wineries and tasted plenty of wine which was introduced with some basic information. Lunch was good and enhanced by the fact that we were asked to state our favourite wine from the wine-tasting on that location and we were then served a full glass of it with our meal. The time at the chocolaterie was also pleasant. Great tour and food was amazing. This tour was a lot of fun! My partner and I ended up being one of just 2 couples on the tour on a Monday and it felt like a private tour! Ian was knowledgeable, funny, friendly, flexible and relaxed. We visited 4 different wineries and the chocolate factory and each stop felt just long enough. Highly recommended! Thanks, Ian! To get out of the hustle of the Melbourne city, this is an awesome trip. Highly recommend. Wine, food and scenery all very good on the day. Got Ian for the winebus tour. This tour is fun and very informative. The wineries we visited were very good. Loved the Chocolaterie and the wonderful ice cream. Ian is very friendly and very accommodating! He gave me a ride home as it was nearby to his! I would recommend this tour to anyone wanting to visit the wineries.